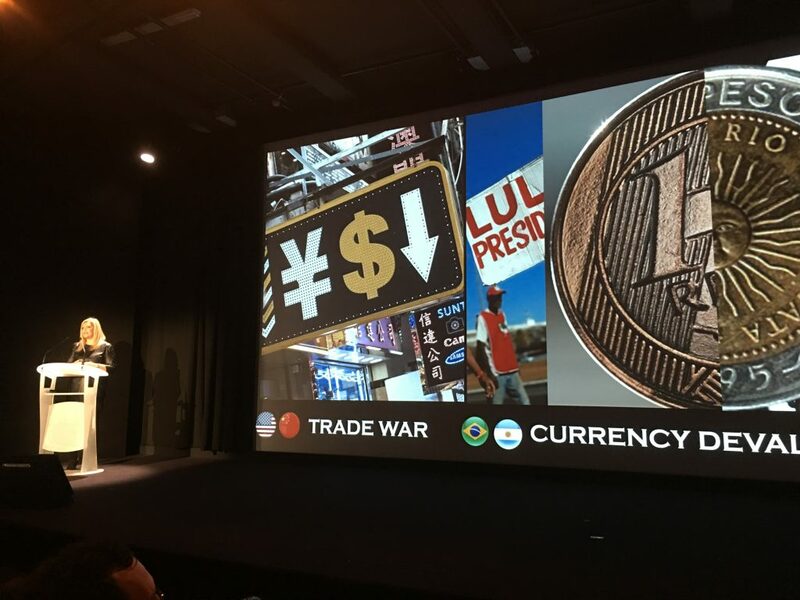 L’Oréal Travel Retail’s annual press conference in Cannes presented a global overview of the year by Travel Retail Managing Director Vincent Boinay, with a focus on the company’s leadership, innovation, relevance, sustainability and social responsibility. Boinay’s overview was followed by regional reports from the directors of Europe/Middle East; the Americas, and Asia Pacific. 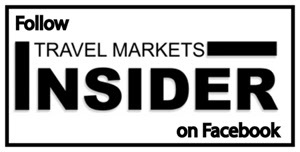 This year more than ever, travel retail showed its worth as the ‘6th continent,’ especially since the important millennial customers are residents of this 6th continent, he said. The millennials follow beauty trends, and use digital from luxury to mass market, and from dermo-cosmetics to hair care, on a global basis. L’Oréal’s travel retail business, which is now 40 years old, is the historic leader of this “territory” because of its passion and expertise. Business in the different regions was quite contrasted this year, said Boinay. The market in Asia with its Chinese shoppers is “quite dynamic,” while business in the Americas, especially South America, was affected by currency devaluations, market difficulties and politics leading to “big minuses.” In Europe, traffic is growing faster than business. 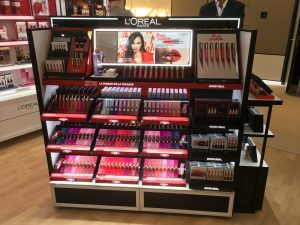 “But at the end of the day, travel retail within L’Oréal is performing quite well,” said Boinay, which he credited to L’Oréal’s portfolio of brands, its 40 years of expertise in travel retail and the teams of people from all over the world, made up of all nationalities, and diverse back-grounds, who run the business. “This is what makes L’Oréal Travel Retail so successful,” he stressed. Luxury is still the dominant division in travel retail, and what is luxury today, he asked? “It is about star products and star brands: Lancôme, Armani, Kiehl’s, St. Laurent, etc., with the addition of new initiatives, new brands, and new customer experiences, to enrich what we do with this portfolio. Boinay says that L’Oréal Paris is answering a real need of millennials who are traveling around the world. New initiatives include new categories, such as the dermo-cosmetics which L’Oréal introduced to the channel only 2-3 years ago and has become a very significant business. L’Oréal also introduced haircare into travel retail through its Kérastase brand and is striving to make the category relevant for its partners. Sustainability, and social and corporate responsibility, are key objectives for the company, which is currently collaborating with suppliers in forest conservation projects to offset carbon dioxide wastes. “This is quintessential to our performance and the most meaningful thing we can do,” said Boinay. *Offsetting 100% of the travel of all staff within travel retail. “It is becoming really meaningful. This year we are offsetting 13 million miles with our reforestation program,” said Boinay. *The company is assisting an employee injured in a snowboard accident to go to the 2024 para-olympics. “As a citizen company of the world it is our responsibility to do these kinds of things,” he said. L’Oréal intends to remain the leader of the industry, said Boinay in concluding his presentation. The overview was followed by a look at some regional highlights from Gianguido Bianco, managing director, TREMEAI; Emmanuel Goulin, managing director of TRAP, and Yannick Raynaud, managing director of TRAM. Bianco noted that the major challenge in the Europe, Middle East market is the decrease in spend per passenger in continental Europe, so the goal is to increase recruitment, and offer more small sizes and other millennial projects, as well as focus on the L’Oréal Paris brand. “Our key objective is to engage and surprise customers with new experiences,” said Biano. With the Asia Pacific market booming, especially in skincare and makeup, Goulin spoke about the relevance of a Sense of Place and the importance of creating an emotional connection to the brands through a great experience. “With the Chinese fueling the growth in TR, there is a need for a 360 omni-channel model that delivers convenience, relevance and experience,” he said, explaining that convenience using mobile is the new norm; relevance with targeted products and events; and experience to offer an emotional connection,” he said. Yannick Raynaud, managing director of TRAM, during her presentation in Cannes. Business in the Americas has been mixed, explains Raynaud. After a “fantastic 2017 and very good start to 2018,” beauty sales are challenged by a currency crisis in Brazil and Argentina, political uncertainties and worries about a trade war between the US and China, which could impact traffic. “This is tough but also temporary. At L’Oréal we trust in the resiliency of the travel retail channel. We are here for the long run. We are here to answer the customers need and desire,” she noted, illustrating some of the dynamic and successful point of sale activations the company has mounted from Rio de Janeiro to Waikiki, Hawaii. Raynaud said L’Oréal is using two main strategies to grow its travel retail business. The first is playing with the extraordinary reach of the L’Oréal brands, glorifying the brand with more engaging consumer experiences. L’Oréal’s second travel strategy is creating distraction in traffic flow, with interactive pop-ups outside of the shops. L’Oréal is focusing on addressing all the consumer needs and working to appeal to all the nationalities to increase penetration, she concluded.